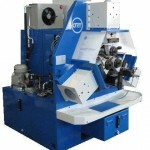 ORT THREAD & PROFILE ROLLING MACHINES have sold in large numbers over many years. Manufactured at a modern plant in Northern Italy, and available for sale in the UK and Worldwide, they are the products of a fifty-year programme of continuous research and development; and represent the optimum in thread and profile rolling technology. 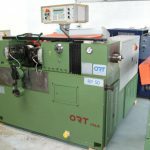 The ORT range currently includes over 30 models, either PLC or CNC controlled, we can offer brand new, nearly brand new and also used machines for sale in the UK and Worldwide. 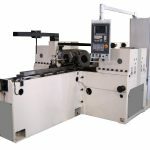 If you’re producing solid and hollow components, or any precision components, the new and used thread and profile rolling machines we provide for sale are second to none and are of unrivalled quality. There is simply no comparison to using the more old school, traditional metal cutting tools anymore. Our thread rolling machines for sale are suitable for rolling many different types of threading on many different types of components. 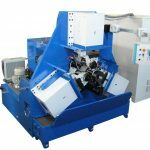 ORT 2 Roll Machines are perfectly suitable for rolling all types of threads on cylindrical components (ISO, ACME, TPN, WORM SCREWS etc). Three-roll hydraulic machines for fast and accurate tube fin production. 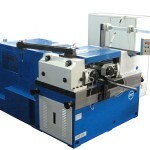 The use of 3 rolls is for rolling tubes and hollow components and long solid components. The MS series machines have been developed for rolling splines and they are available in size from 180 to 1,200 kN rolling pressures. Machines used for super finishing. 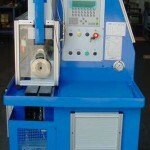 Selected ORT Nearly New Thread & Profile Rolling Machines. Extensive stocks of used Thread Rolls and spare parts.